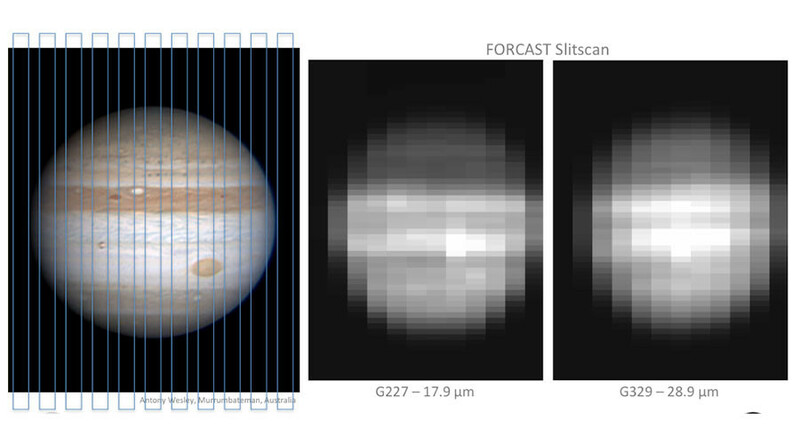 For the first time since 1979, scientists have observed a far-infrared map of Jupiter. The kicker? 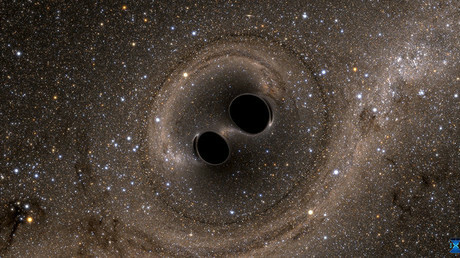 It was taken from a telescope in Earth’s orbit – an achievement that was previously only possible from space. NASA’s Stratospheric Observatory for Infrared Astronomy (SOFIA) captured Jupiter’s overall atmospheric conditions for the first time since the twin Voyager spacecraft missions in 1979. The observations were studied by a team of researchers from the University of Leicester, England, who used the SOFIA telescope and data from FORCAST, the Faint Object Infrared Camera. The team observed infrared wavelengths between 17 and 37 microns, “a spectrum range that is largely inaccessible to ground-based telescopes,” says NASA. The majority of scientists’ understanding of Jupiter has, until now, come from space-based missions, like Voyager, Galileo, and Cassini. However, SOFIA’s position above 99 percent of Earth’s infrared-blocking water vapor, combined with the power of FORCAST, means SOFIA has the unprecedented ability to study Jupiter’s overall atmospheric circulation. When Jupiter is studied using visible light, scientists can only see the light reflected from the gas clouds that surround it. Infrared observations are capable of seeing past the clouds and providing details from deep within the layers of the gas planet’s atmosphere. These latest observations will help scientists understand how Jupiter’s atmospheric circulation changes over time.